Very Good. Trade paperback (US). Glued binding. 392 p. Contains: Illustrations, black & white. Virago Modern Classics. 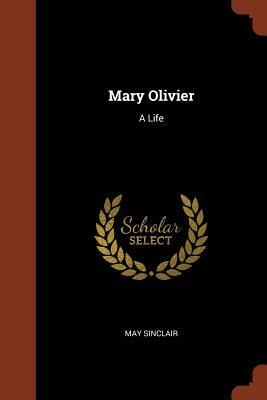 Born in 1865, Mary Olivier is the youngest of four. Mamma, the archetype of all women who rule through weakness and suffering, dominates her Victorian household, idolizing her sons, rejecting the independent love of her only daughter. Mary, in response, both adores and hates her mother. Good. Trade paperback (US). Glued binding. 392 p. Contains: Illustrations, black & white. Virago Modern Classics. Born in 1865, Mary Olivier is the youngest of four. Mamma, the archetype of all women who rule through weakness and suffering, dominates her Victorian household, idolizing her sons, rejecting the independent love of her only daughter. Mary, in response, both adores and hates her mother. Used-Very Good. VG hardback in VG dust jacket. A little light scattered foxing. The Holiday Library edition.